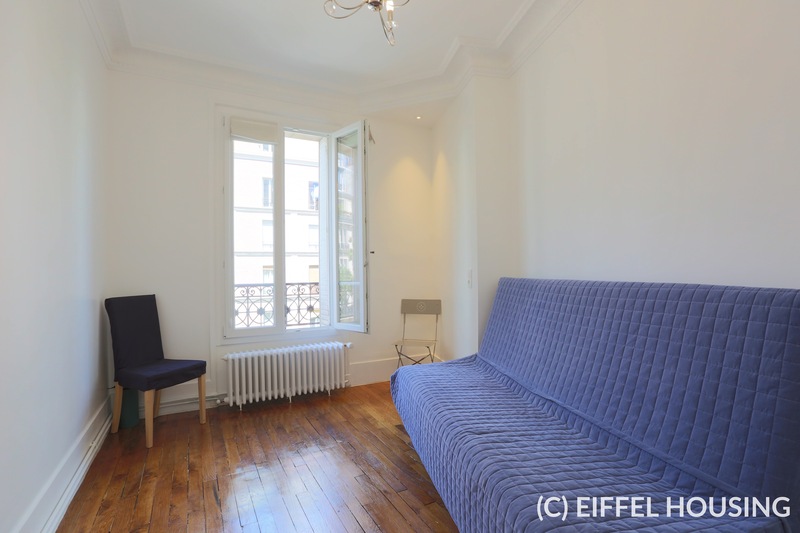 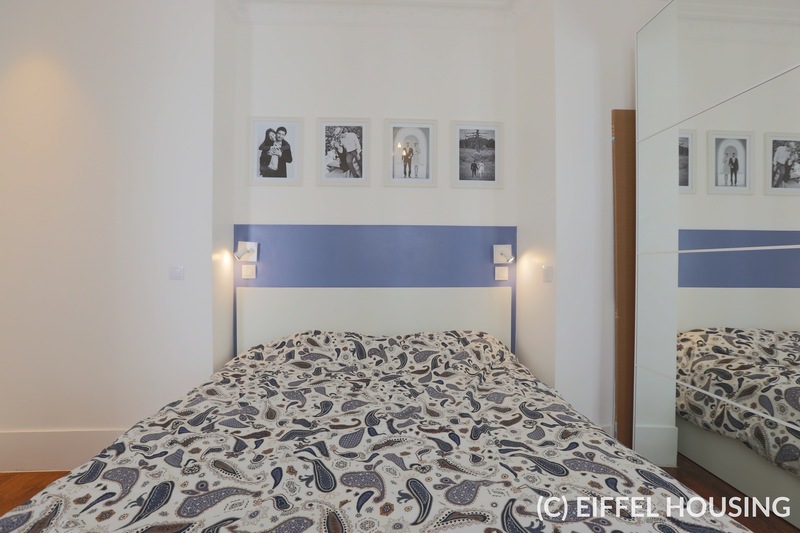 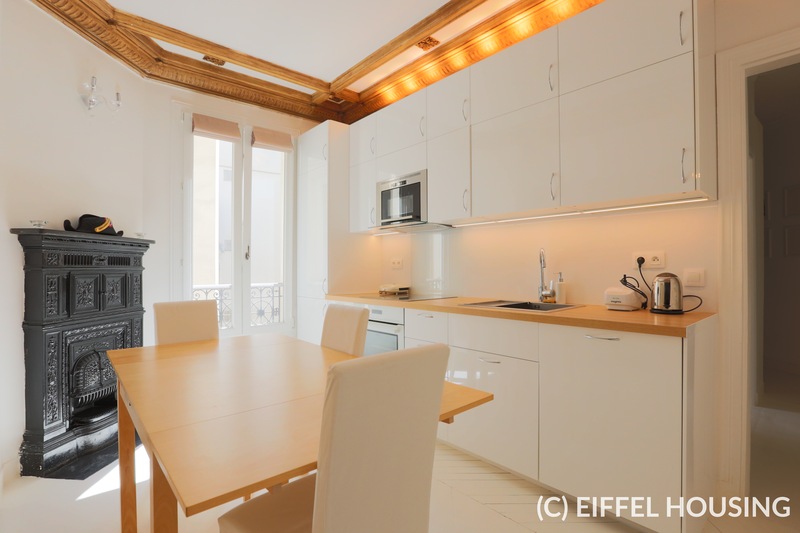 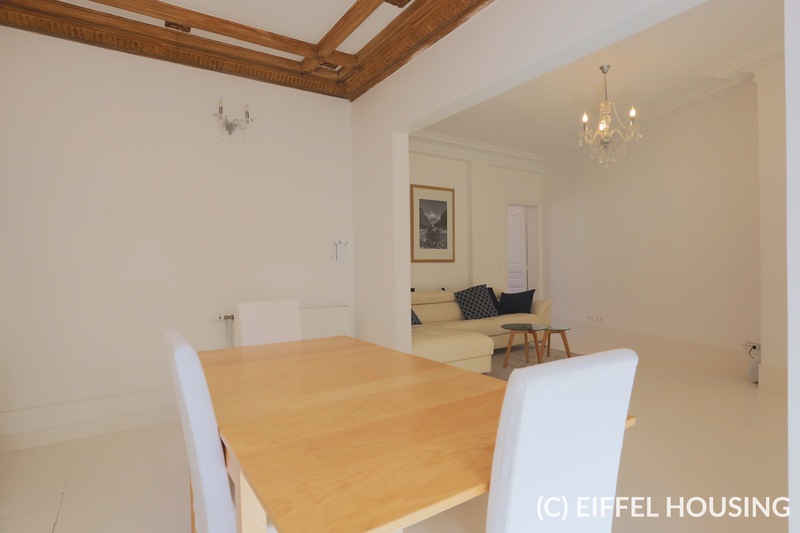 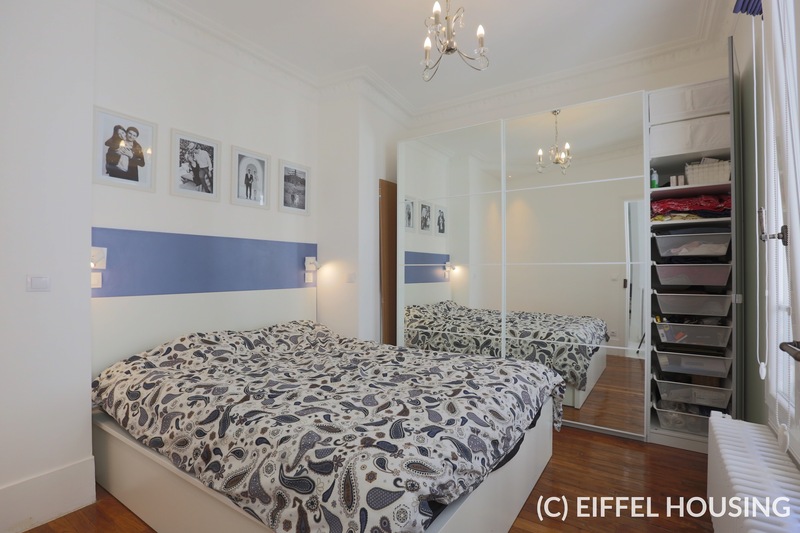 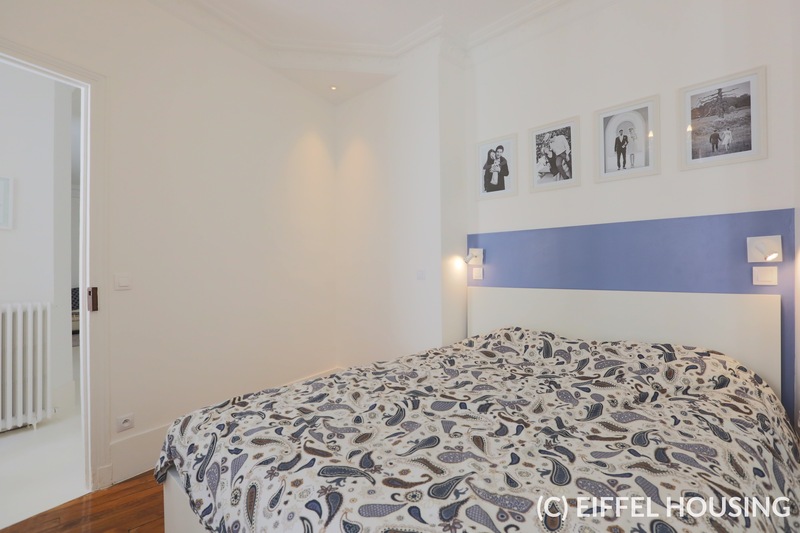 High end furnished apartment located rue Raymond Losserand at the corner with rue d'Alesia. 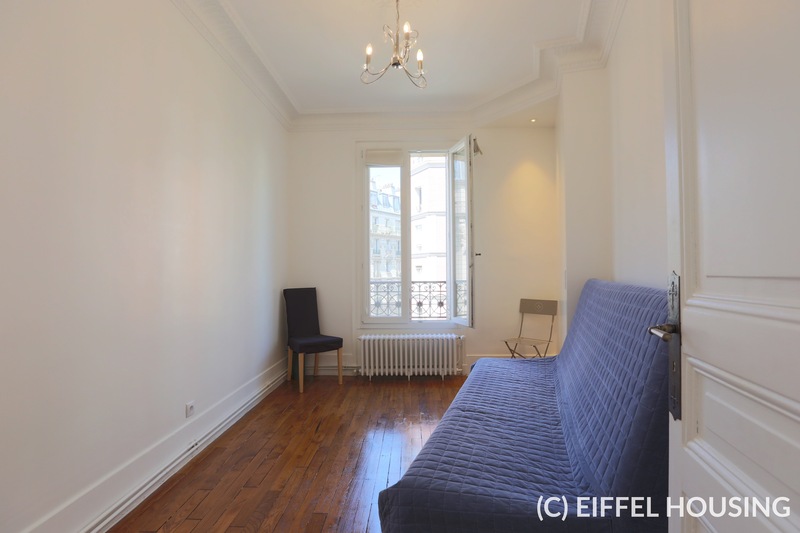 The apartment is on the 3rd floor (with elevator) in a typical freestone Parisian building. 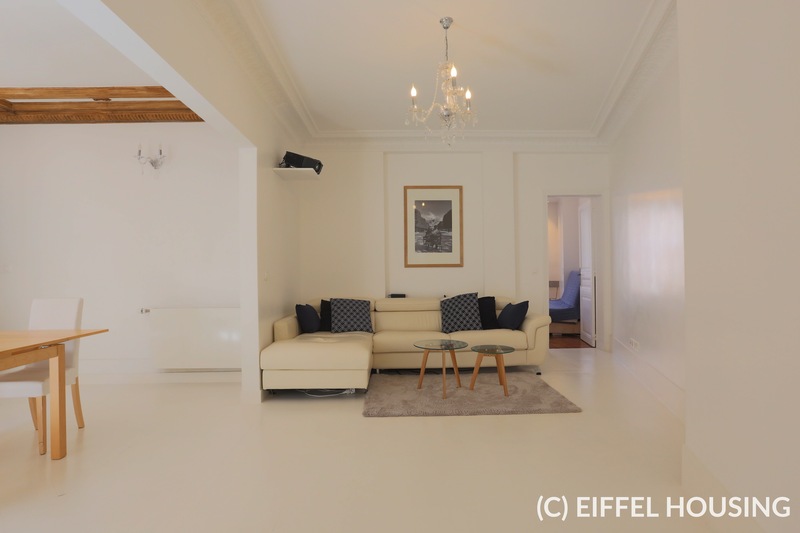 Good up keeping of the common spaces. 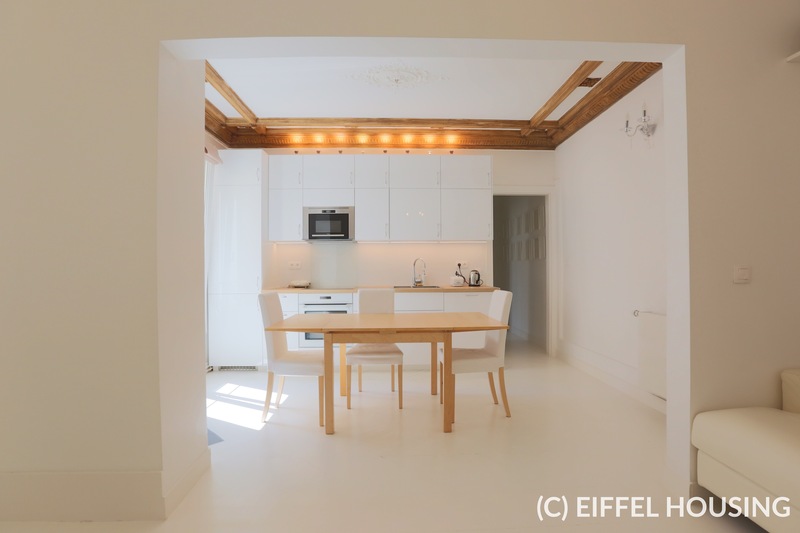 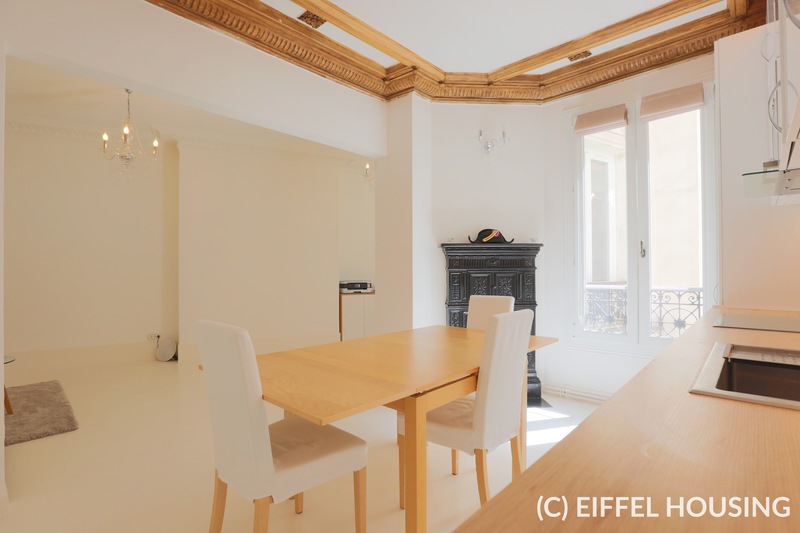 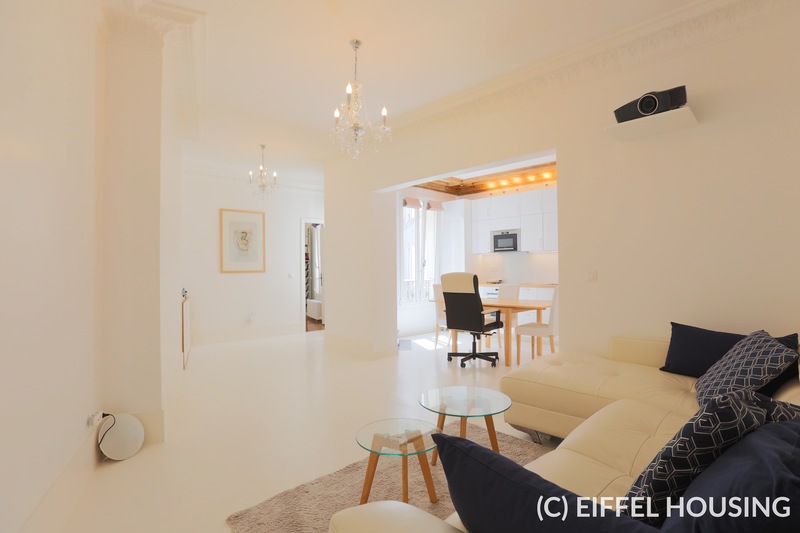 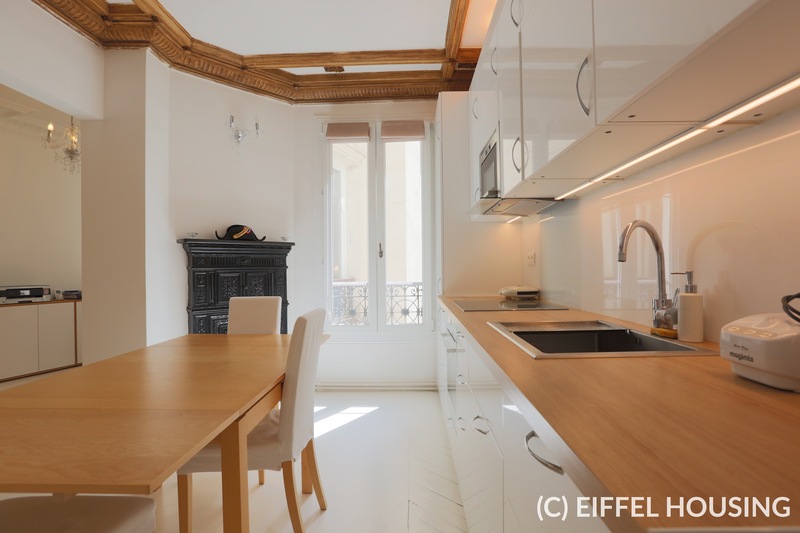 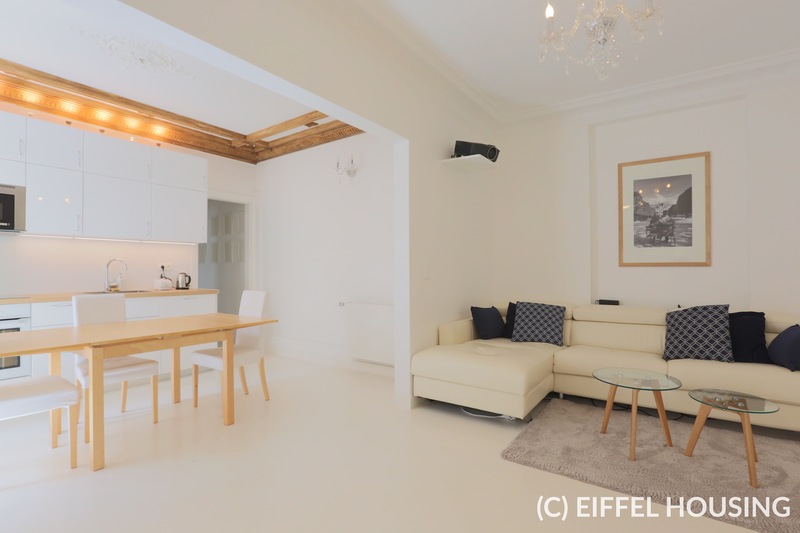 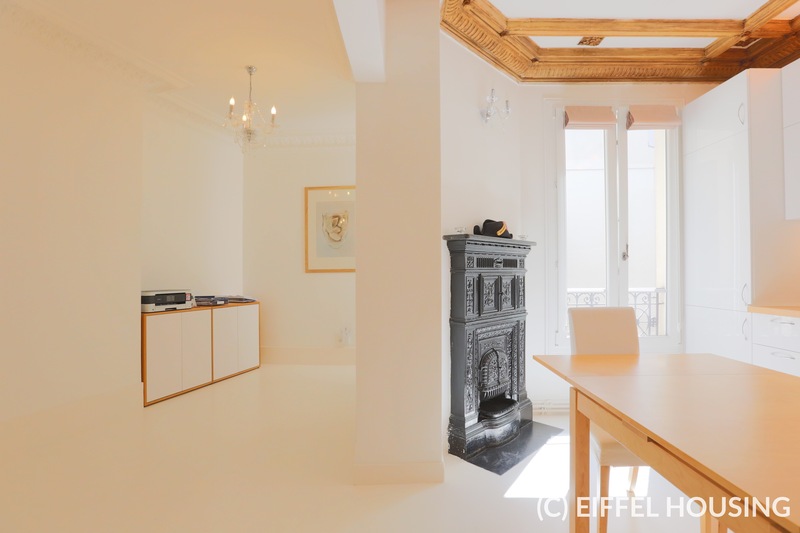 The apartment benefited from a full renovation in 2018 which brings a contemporary touch in a this classical Parisian building (moldings, chimney, etc.). 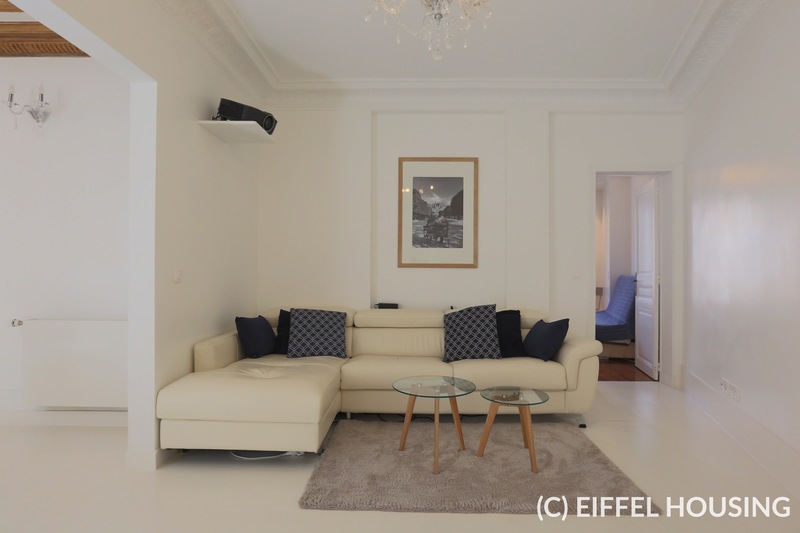 Comtemporary and high end decoration and furniture. 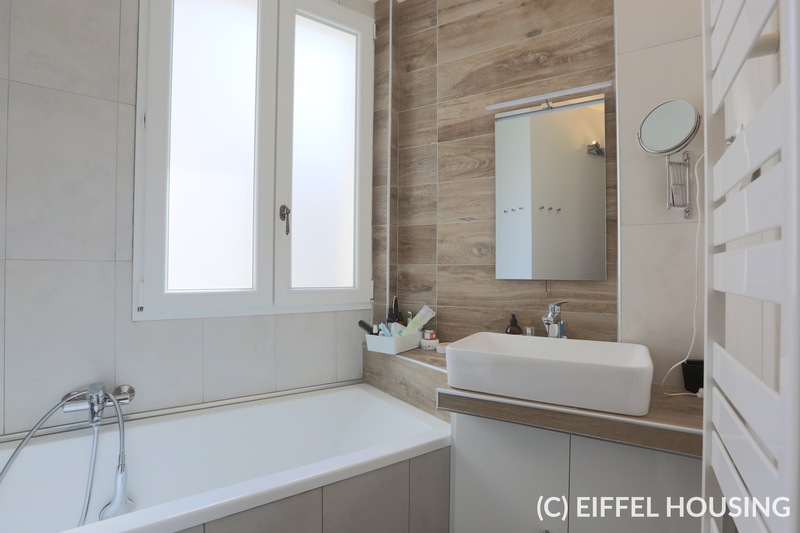 It features : 1 large living / dining room with a fully equipped and open kitchen, 2 large bedrooms (with storage capacity), 1 bathroom (with bath tub and shower), 1 laundry room, 1 separate WC. 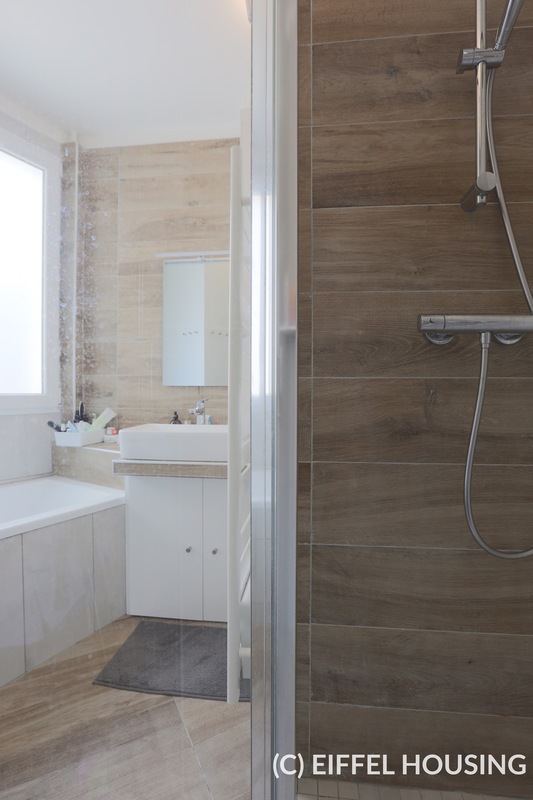 Heating and hot water are provided by gas fueled heaters.